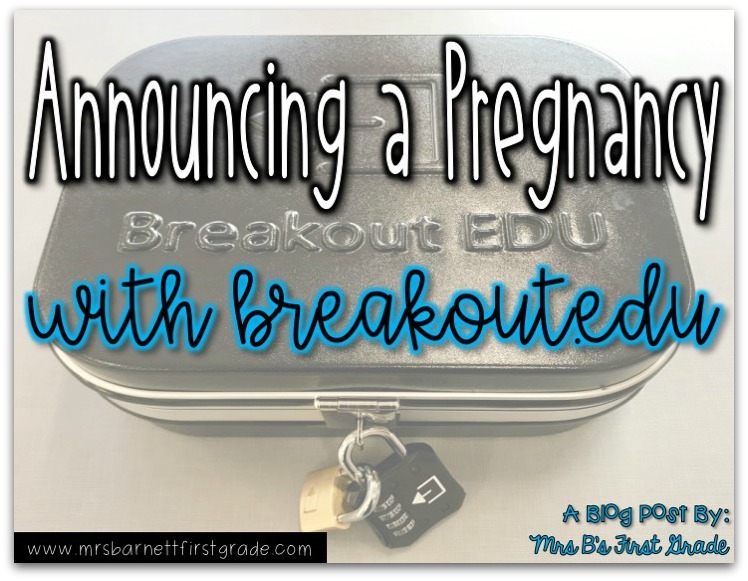 Announcing a pregnancy in the classroom is exciting. You have this special secret on your mind for several weeks, before you are actually able to share it. Therefore, you want to share it in a big way. I thought and thought about how to announce my pregnancy to my first grade class. 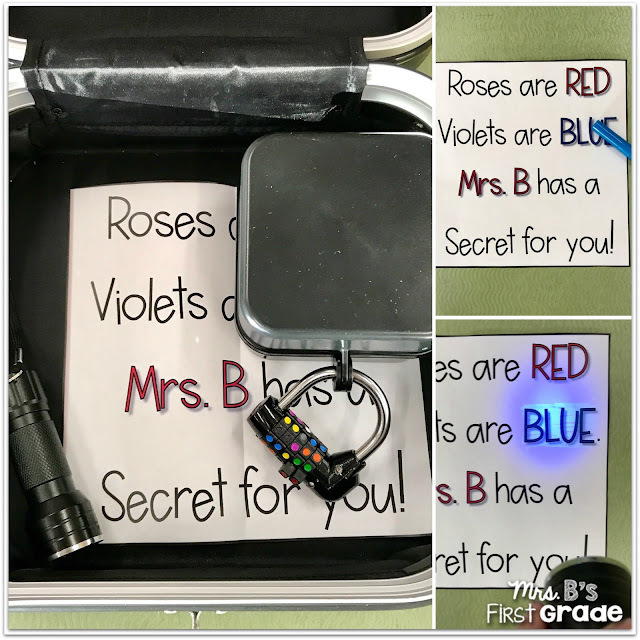 When it hit me...use a breakout.edu box! I found out I was pregnant in July. Therefore, I started the school year at about 8 weeks pregnant. It was my second pregnancy, so I felt like I looked pregnant pretty instantly. I did a lot to hide the pregnancy, because I did not want to announce until after our 12 week ultrasound. It was not fun hiding. As the time to announce grew closer - I knew I wanted to announce it in a fun way to celebrate letting the secret out. My school had recently been introduced to breakout.edu boxes. 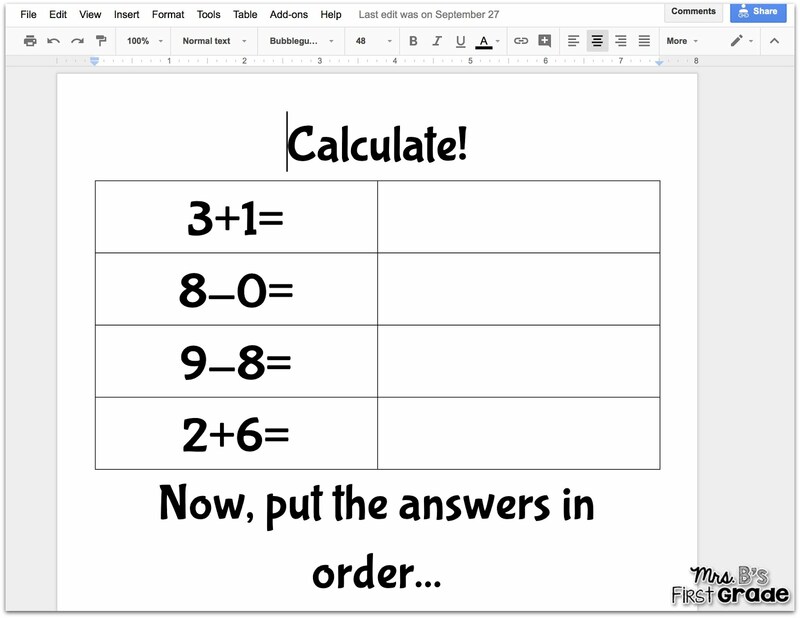 I was itching to try it out with my first graders. This was the perfect opportunity! 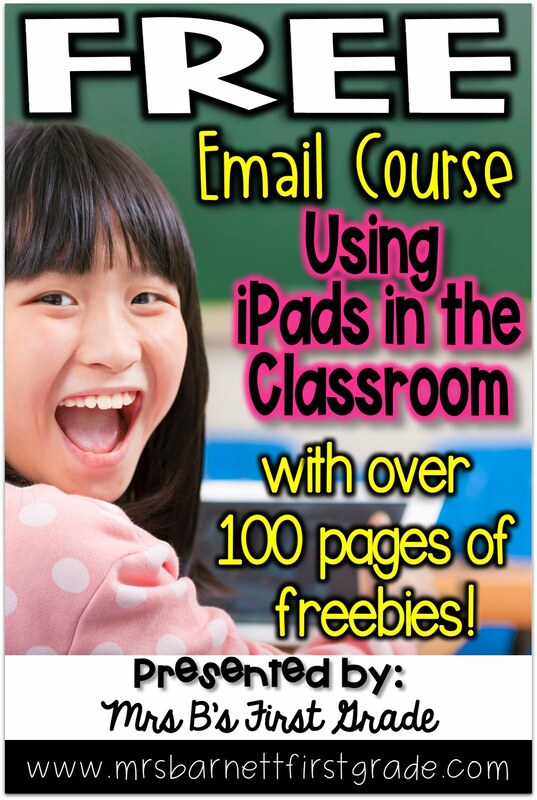 I searched the site for activities that might fit mine. I knew I would need to adapt one in some way. I started adapting one, and then just decided to create my own. It was a lot easier then I realized. The basis of breakout.edu is that you have something hidden inside a box for the students. In my case, it was the answer to a secret. The students have to work together to physically open the box. The box usually includes a variety of locks that are opened by the students working together to solve them. 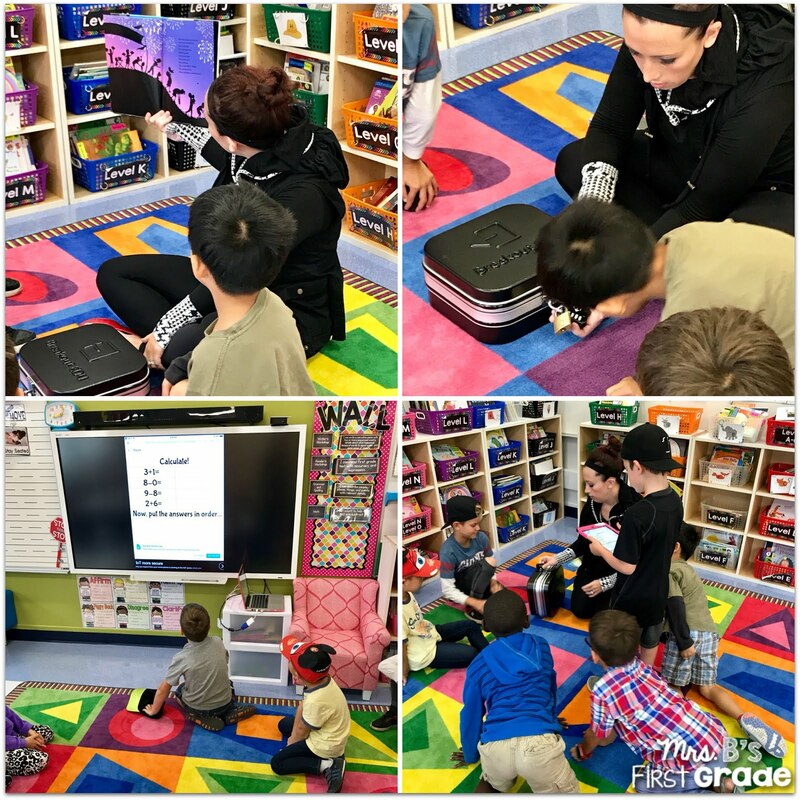 My students are young and this was their first time with a box. So, I kept it simple. I started by telling my class I had a big secret to share, but they needed to work to find it out. The secret was hidden inside the box. I told them they needed to look for clues to help them open it. 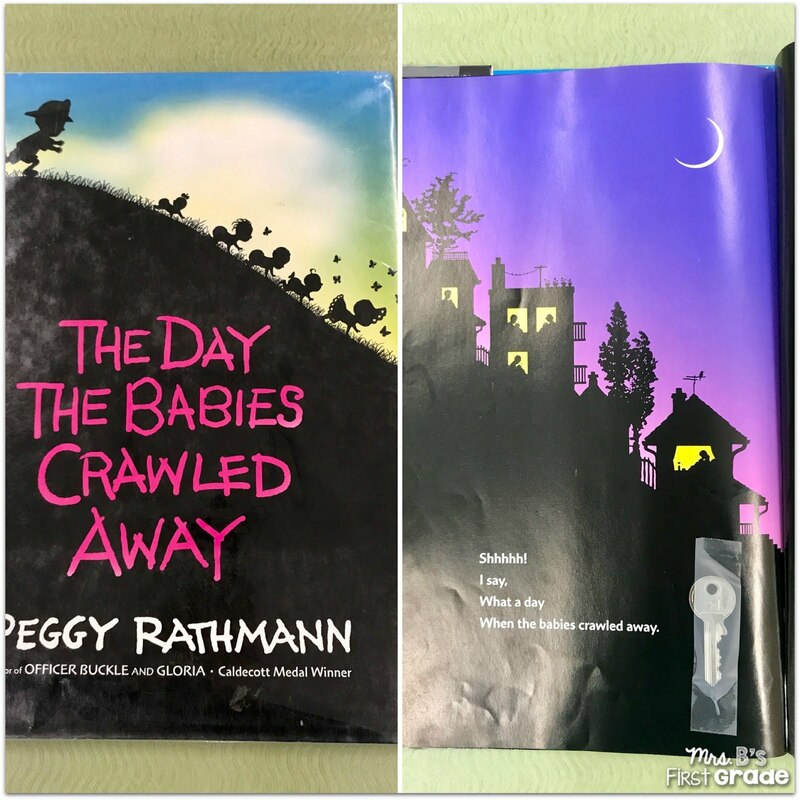 I then read to them The Day the Babies Crawled Away. On the last page I had taped a key. Luckily as soon as we got there my kids figured out that they could use the key on one of the locks. The key took one lock off the box, but I still had another on there. 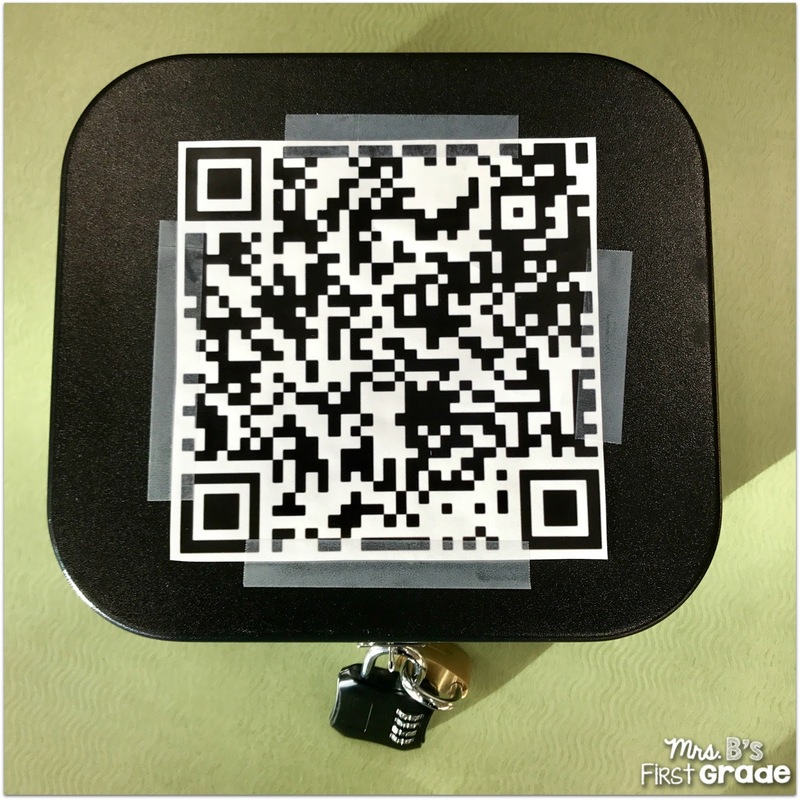 One of my kids saw the QR code I had taped on the bottom and thought to scan it. We did, and it led us to the Google Doc below. My kids had to solve the math problem (hint - it is the due date of our baby!) This led them to knowing the code to take off the other lock. When they opened the large box they saw a poem, a small box, and a flashlight. This stumped them for a bit, but not long. They ultimately figured out that the flash light was a blacklight and found that I had highlighted the word "blue" with a blacklight pen. They used this clue to figure out that they had to change the colored lock to all blue to open the small box! I hid the ultimate secret in a little black box. Once they opened it, they read the note. They were a little confused at first...but ultimately got it! 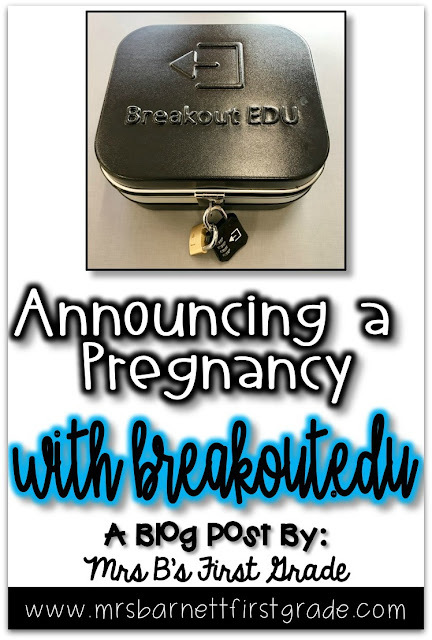 Have you tried a breakout.edu box? How have you announced your pregnancy in a fun way? Let me know!